.. to earn enough to send for his lady to come to the United States. A tale that needed to be told… fron the 1850’s to the 20th century. Preserved how? By a 21-page story typed on a Remington portable. 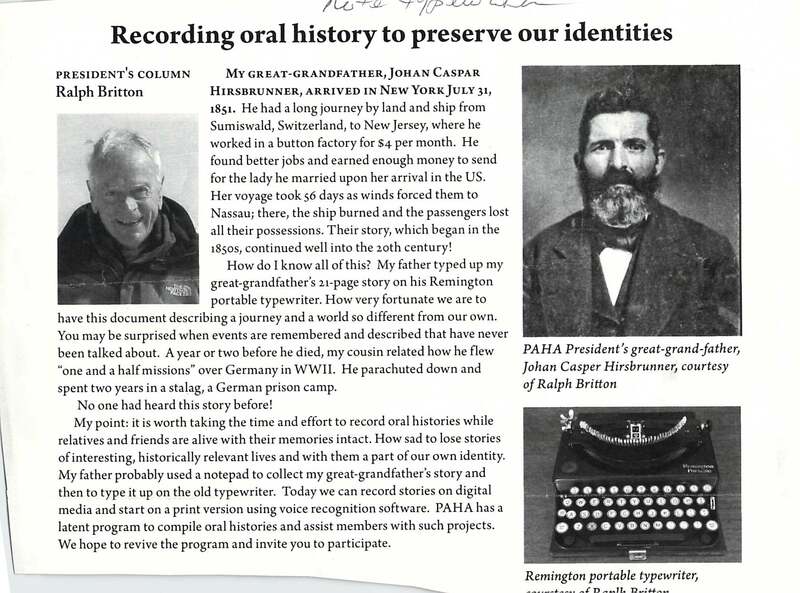 The point: “It’s worth taking the time and effort to record oral histories while relatives and friends are alive with their memories intact”. We don’t have to use a typewriter now — but however we get the story, it’s worth doing. Thanks to my Mom, Betty Gerard, for noticing this in the Palo Alto Historical Association’s newsletter.